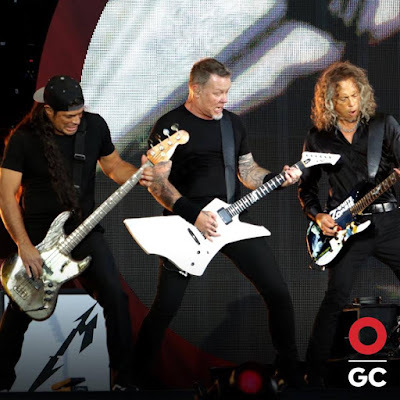 Metallica performed at the fifth annual Global Citizen festival in New York’s Central Park on September 24 and video of their full set is available. Curated by Coldplay singer Chris Martin, the event is part of a continued effort to end extreme poverty by 2030, as proposed by the United Nationals Sustainable Developmental Goals. By contributing to charity acts on the website – including watching videos and signing petitions – people earned points to get free tickets to the festival. "Over the last five years, Global Citizens around the world have taken more than 6 million actions in the fight against extreme poverty - actions that are set to affect the lives of over 650 million of the world's most marginalized people,” says Global Citizen CEO Hugh Evans. “This year's festival - and this incredible lineup - is an annual touch point to hold our world leaders to account on their commitments to solve the world's biggest problems." The festival – which also featured Rihanna, Kendrick Lamar, Demi Lovato and others – was broadcast by MSNBC and msnbc.com and streamed online via YouTube. Metallica will release their new album, “Hardwired…To Self Destruct”, on November 18.